Gone are the days of mindlessly buying whatever hot new gadget is out there. These days, parents are investing more time into the why & how of products they bring into their - and their children's - lives. Why is this product better than the rest? How is it used & how long will it last? Our team of Kansas City makers rallied together to put together the top ten must-have items for a items room to bring parents the best in sustainable, educational & fun products for kids that are made ethically & locally! Keep laundry off the bedroom floor & toys picked up in the play room with these fun Mon-stors from Lu & Ed! 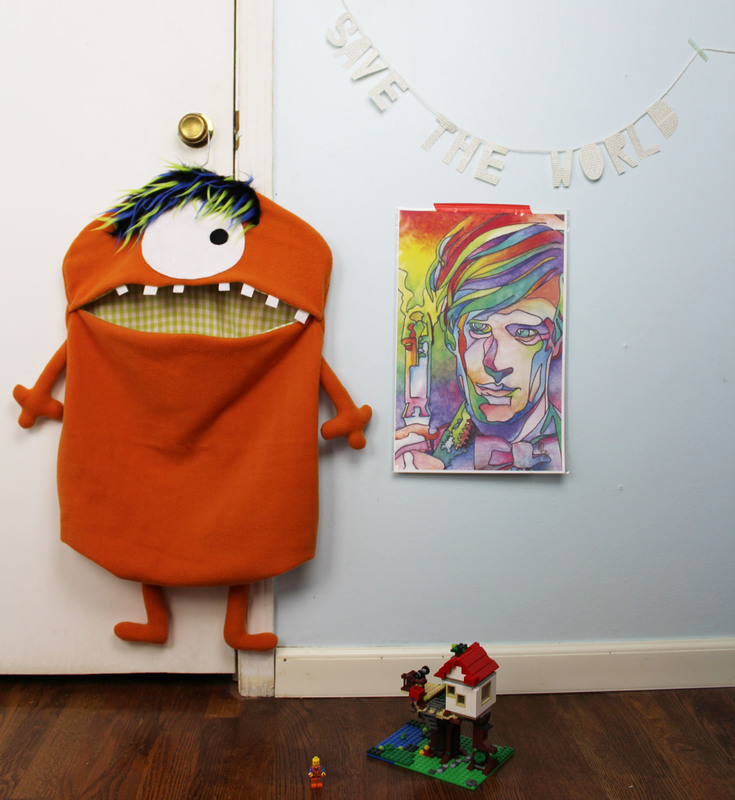 Each is handmade from carefully sourced textile discards & fabric donations, preventing landfill waste & making cleaning up fun for kids as they "feed" the Mon-stors their messes! Contain those little Legos, art supplies or toy cars in these fabric bins by Life's Gems! 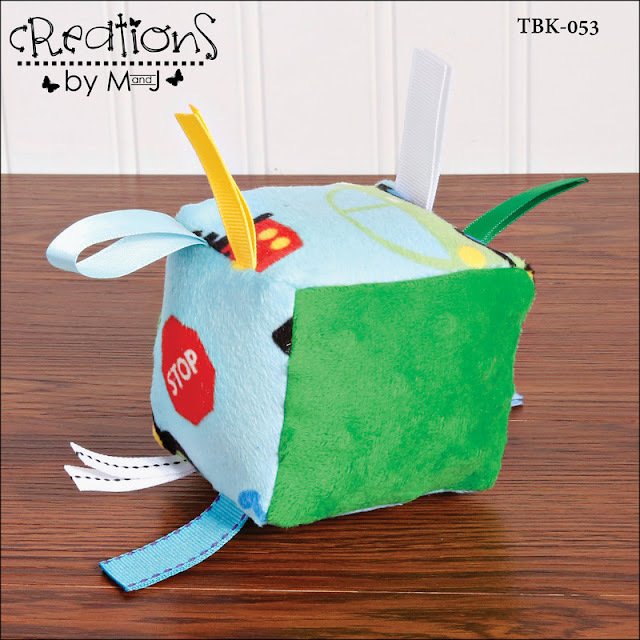 They are handmade from textile discards, which prevents fabric from entering landfills, and come in various sizes for all of your toy storage needs! Perfect for babies & toddlers, these fun crinkle blocks are visually stimulating while encouraging sensory play! Young learners can count the ribbons, name objects on the fabric, and learn to identify colors by name with Creations by M & J's handmade crinkle blocks! 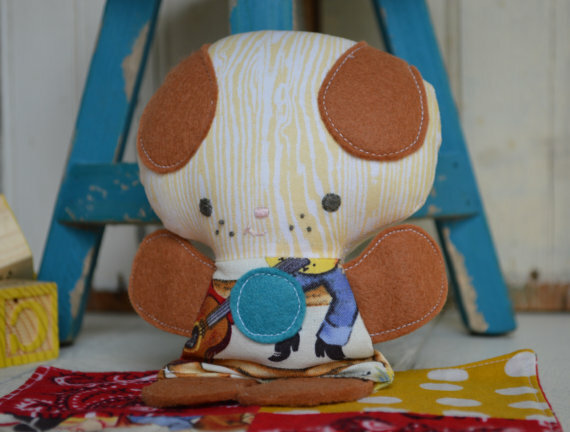 The Little Wing makes adorable, one of a kind heirloom quality stuffed toys & dolls that are built to last & be passed down for generations to come. Made entirely from socks (new, never worn), these cute sock bunnies encourage imaginative play! Kiser Krafts uses a variety of materials on each one of a kind bunny that are great for sensory play, from the hard button eyes to the soft pom pom tails & the lovingly embroidered noses. 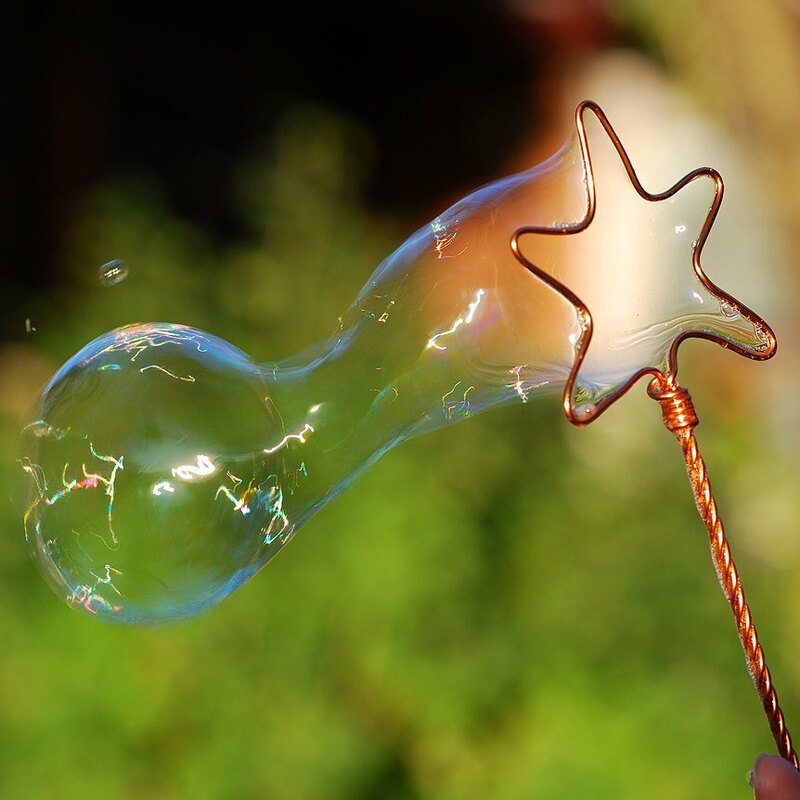 These hand twisted bubble wands by Thyme 2 Dream are the epitome of summer magic! Buy several & fill a vase on the back porch with them - instant fun when friends come over to play! 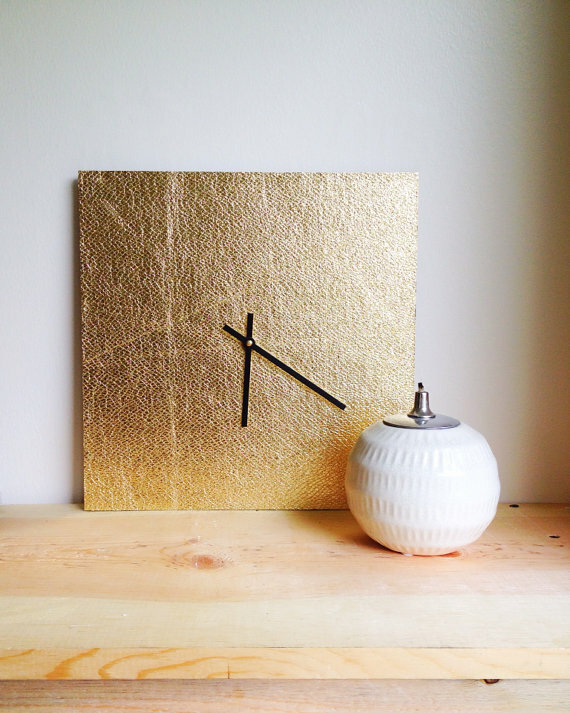 Have a Pinterest worthy nursery by adding this gold foil clock from The Tulle Box to your baby's sweet room. These mobiles from Life's Gems are handmade from paper scraps & are perfect dreamy accents to a room - available in a variety of colors, from rainbow (shown) to neutrals & cascading ombres, they can be hung over beds, in the corner or by a window to swirl in the breeze. Violet's Buds offers a wide variety of handmade hoop art that she creates using fabric scraps & salvaged materials that makes wonderful centerpieces in a room - or hang several together for a statement wall! 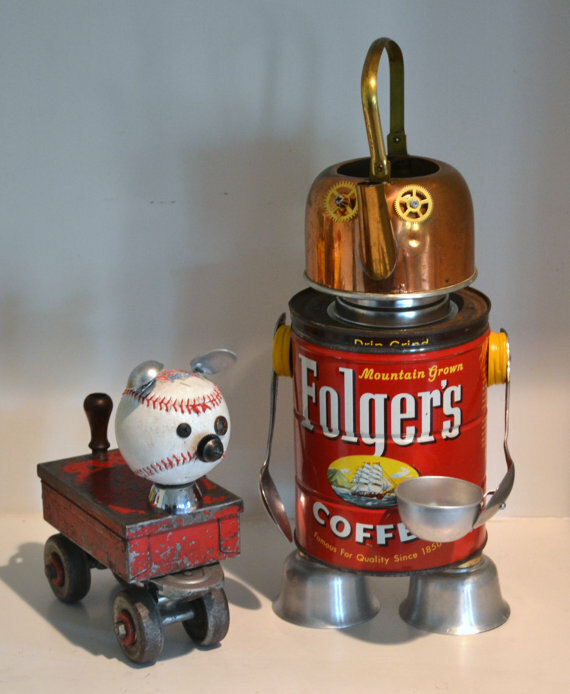 These Rescued Robots by Remnants by RJ are created from metals that would otherwise be destined for a landfill. 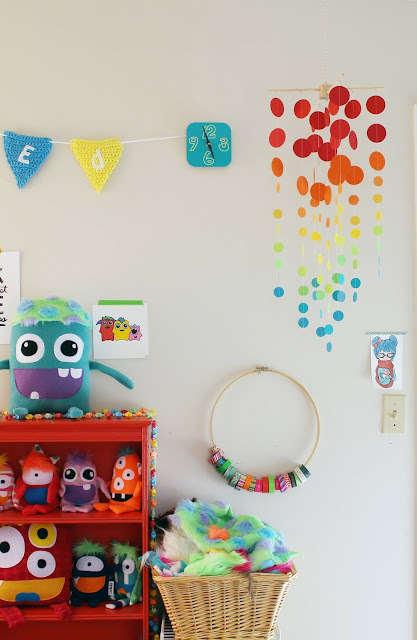 Not only do they make great nursery or kid's room decor, they make a great conversation starter for children about repurposing & recycling items! A big thank you to Cody from Lu & Ed for creating this post.